This week I got an early Christmas gift! 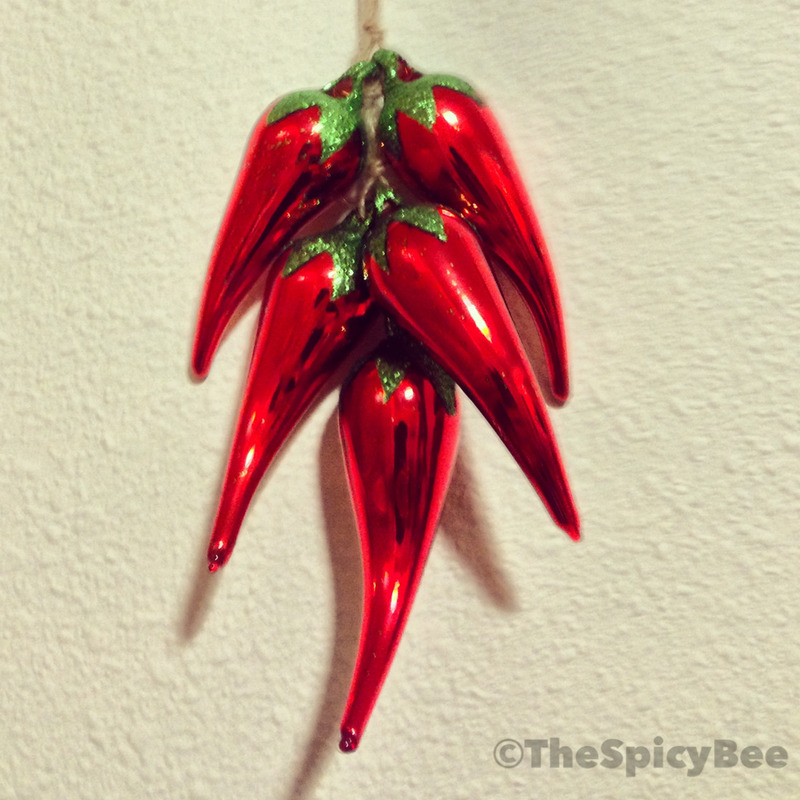 My Oma sent me these nifty pepper ornaments all the way from Arizona! They are so fun looking that I’ve decided to keep them on the wall in our kitchen full-time. 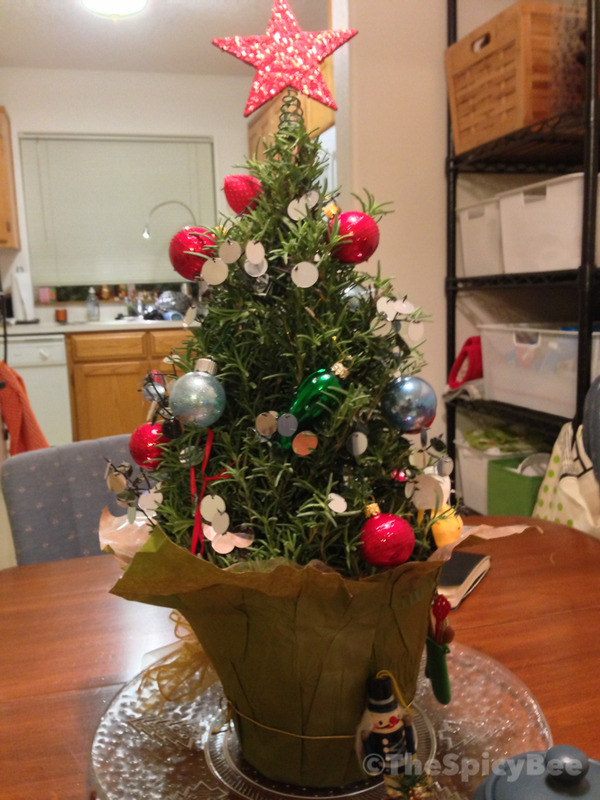 Since we aren’t celebrating at our house this year–we bought ourselves a little rosemary tree! Isn’t it cute?! It smells divine and was only $6 from Trader Joe’s! We plan on making a lot of delicious rosemary infused treats this next month…I might even need to go back and get a second tree before Christmas even arrives. Please ignore my naked kitchen in the background as well. I realize as I post this that it’s one of the first views of our “new” kitchen. Remember: beautiful food can come out of ugly kitchens!! 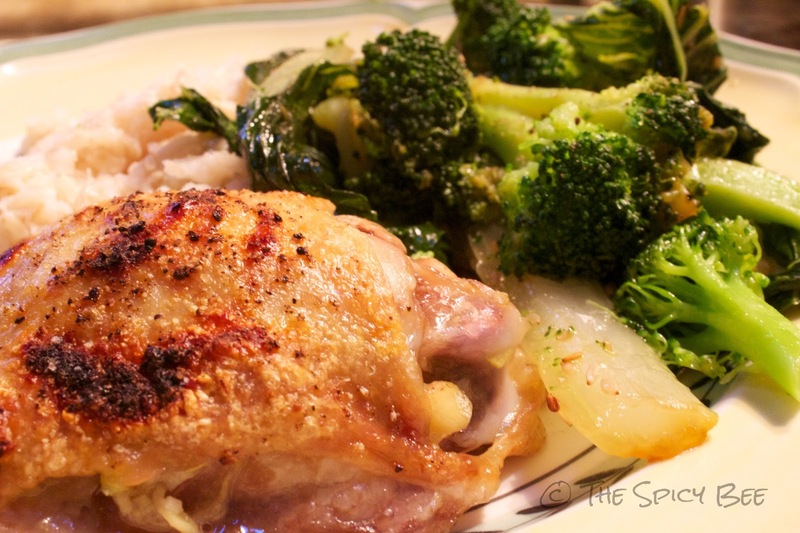 This ginger chicken recipe makes a phenomenal weeknight meal, and is very well-rounded! We used skin on chicken thighs, but I would also be interested in trying this as a sort of rub for a roasting chicken too. We didn’t have much luck finding baby bok choy but if you have a stash of some, it may work better than the full-sized choy that we were able to use. Full recipe after the jump…. Preheat your oven to 450°F with your oven’s rack in the highest position. Cook the rice according to the package. In a small bowl, mix the garlic, ginger, and 1/2 t salt. To ready the chicken, place it in a rimmed baking sheet; loosen the skin, and spread the ginger mixture underneath, dividing evenly. Rub 1 T olive oil evenly along the outside of the chicken. Bake until the chicken is cooked through and the skin is browned (12-15 minutes). Meanwhile, heat the remaining 2 T oil in a large skillet on medium heat. Add in the broccoli, bok choy, and 1/4 c water. Cover and cook, making sure to stir occasionally, until the veggies are tender (6-8 minutes). Pour out excess water, and add in your sesame seeds and soy sauce. Serve with the chicken and rice. This was my first time cooking bok choy and I was surprised with how well it came out. It reminded me of a slightly crunchy spinach/celery texture, and really tasted good with the soy sauce and sesame seeds. 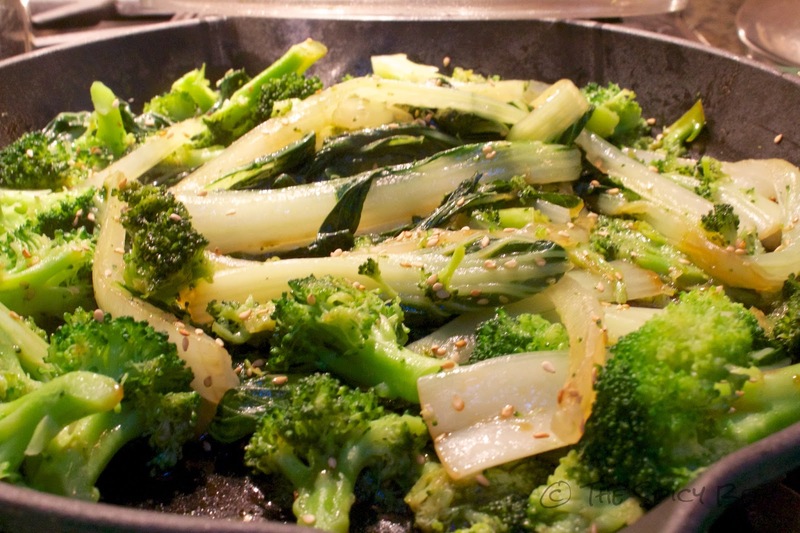 What is one of your favorite “unheard of” vegetables? I have never known what to do with bok choy! It was always such a confusing vegetable. Thanks for this! looks delish! Cute tree! I pinned some similar ones this Christmas, cute ideas! That chicken looks especially yummy! I usually can find baby bok choy at New Seasons, and I love how they fit in my little steamer. I love your rosemary tree and want to get one soon!!!! Also, that chicken looks heavenly! I want, I want, I want!! !